When looking for online companies for your gold investing, always visit their website. The website will tell you a lot about the company, and their success or failure. When you buy gold bullion online, call any possible company before you make a final decision. This will let you know what kind of customer service you will get as a customer, and help you eliminate prospects that do not offer this. Remember that purchasing gold bullion is not an easy decision. Check out the reputation of the online company before placing an order. Be wary of dealers who offer to eliminate capital gains tax on gold, or otherwise act in a shady or unethical manner. If you buy on EBay, watch out for detailed feedback. Make certain your seller has extensive positive feedback history. With the high spot price of gold today, many scammers have come into the precious metals industry. Look at the length of company history available, and be wary of new companies that are beginners in the market. When you are buying gold bullion, avoid small or unknown companies. Often these dealers are not ethical or have started the company just to cash in on the current astronomical prices. Customer feedback can be a big indicator of good or bad aspects. The bullion market has spawned many scam artists, and the customer feedback can help you avoid these companies. If you will be purchasing gold bullion bars or purchasing gold coins, type in a prospective dealer company in the search bar, and examine the results closely. Often these results will show unhappy customers or complaints if the company is unethical or dishonest in any way. 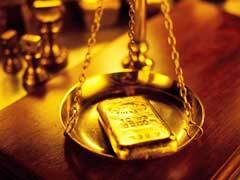 Investment forums can be very beneficial when purchasing gold bullion. These forums are full of investors with feedback on gold dealers, both good and bad. Start small when placing your first order. Limit this order to a 1 oz gold bullion size or smaller. This helps limit your possible losses.